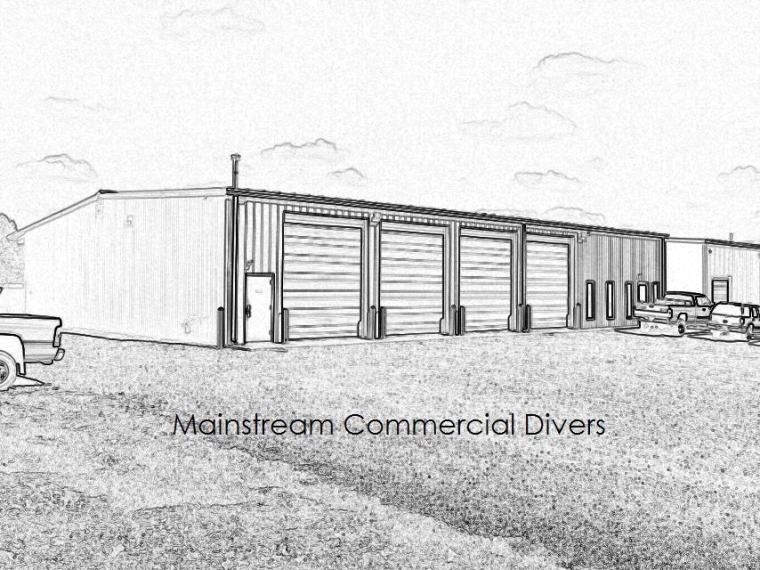 Mainstream Commercial Divers Original Office and Storage Building, Murray, Kentucky. This was a negotiated project. Metal building shell, metal stud framing / gypsum board walls. Cleaver Construction also built an additional office / storage facility for MCD located next door. Both projects were designed and built by Cleaver Construction Company and selected subcontractors.